Serendipity Herbals and 'the neemteam' evolved out of personal experience. With two young children of school age, it was not long before the problem of head lice reared its' head. Bad publicity surrounding the use of chemical treatments deterred me from using 'over the counter' chemical treatments. What I was really after, was something to stop the persistent recurrence, whereby you no sooner cleared the problem - only to catch it back again. Quite by chance, we came across information given in an alternative health column, recommending the use of Neem shampoo to prevent head lice. Rather sceptically, we followed this advice, and were amazed to find that it really did work! Head Lice became a thing of the past in our household. We were hugely relieved that this horrible episode had ended. Over the years, we have shared this advice with many other parents in a similar position, and have only received positive feedback from all of them. Having come from a scientific background (17 years as a Biomedical Scientist), I was intrigued to discover more about Neem, and began my own research project. A veritable 'journey of discovery' began! Although the Western world has been largely unaware of Neem, Indian culture has been reaping the benefits for over 4000 years! Not only was Neem recognised for its ability to perform as a naturally 'soft' pesticide, it had a wide range of beneficial properties. Many anecdotal claims are now supported by scientific studies. There is a huge amount of information freely available in the public domain, should you wish to conduct your own research. EU legislation does not permit us to give further details of these findings on this website. Inclusion in creams and body lotions is useful for all skin types, including those with sensitive or dry skin. As part of a healthy diet and lifestyle, neem leaf supplements support overall health, the skin and digestion. 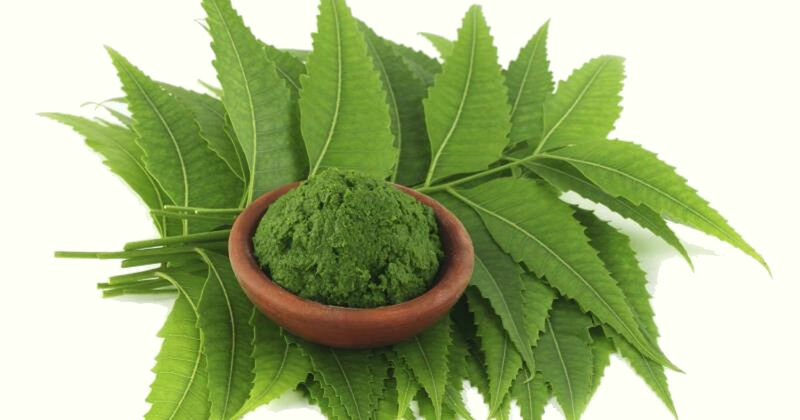 We felt sure that many people in the UK would be receptive to neem as an ingredient in personal care formulae. However, it seemed that most of the suppliers were based either in India or the United States. Very few companies were promoting Neem in the UK. We decided to source a range of tried and tested formulations which adhered to the standards demanded in the UK ie. Quality Assurance, Organic or ethically produced raw materials, and avoidance of unnecessary chemical additives. Turning our attention to the US, we discovered Organix South. Founded by Autumn Blum, the ethos of this company was very similar to our own. Autumn graduated in Chemistry (specialising in environmental studies), and began work in a traditional cosmetic company. After crossing paths with someone interested in formulating a Neem Oil shampoo, she began researching Neem herself. Months of research followed. Neem Oil was a very difficult component to work with, and sourcing ethically wildcrafted and Certified Organic Neem in India and Mexico finally resulted in two bona fide sources of supply. Organix South was founded in May 1998, offering contract manufacturing to companies wanting to introduce Neem products. Having gained mastery over a variety of these products, Autumn introduced her own retail line in 2001. Organix now offers a wide & ever-expanding range of products. Autumn stated 'I felt there was a need for a complete family of products, all displayed together, that could properly educate the public about the tremendous uses and benefits of Neem.......It has been tremendously rewarding, my customers tell me stories of how Neem has helped their lives.....we are the primary manufacturer of premium Neem products in the United States'. Our quest to find a like-minded supplier coincided with Autumn having reached the point where she wanted to expand into the UK. Happily we were appointed the sole UK distributor for the Organix South product range. Since founding our business in 2003, our product portfolio has expanded to include our own label, UK manufactured 'Serendipity Herbals' range, and also the popular CSJ Billy & Filly No-Mates! for dogs, cats & horses. We continue to specialise in researching & offering our discerning customers the very best in neem. We celebrated our 10th Anniversary in November 2013 and with many new and exciting products on offer, we trust that every customers will find what they are looking for, and be delighted with the results.